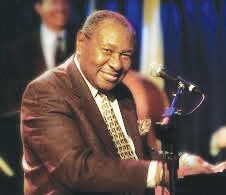 Freddie Cole, the younger brother of Nat “King” Cole and uncle of Natalie Cole will perform at the inaugural anniversary of the Good Times Jazz Bar & Restaurant, located at 107 W. Broughton St. on Wednesday and Thursday, October 17-18, 2018. There are two performances nightly, 1st set 7:30p.m. and 2nd set at 9:30. Tickets are $20 and can be purchased in advance at the door. Good Times Jazz Bar and Restaurant was born out of a desire to bring Great Southern fare, Fine wines and the best in Jazz into one sophisticated relaxing atmosphere. From Sunday – Saturday, they feature the best live Jazz, the Low Country has to offer. The owner Stephen T. Moore’s love of Good Food-Good Wine- Good Music, was the driving force behind the creation of his dream, Good Times.